Jumanji, the long-awaited NetEnt video slot based on the film of the same name is finally here. The well-timed launched of the Jumanji slot machine coincides with the theatrical release of the film Jumanji 2, starring Dwayne ‘The Rock’ Johnson and Kevin Hart among other stars. In the film, the board game Jumanji comes to life, after which the protagonists experience the most fantastic adventures, complete with stampeding rhinos, mischievous monkeys and many other jungle animals. These are elements that are expected to make for a very fun to play online slot game. From the little we have seen of Jumanji so far, we can conclude that NetEnt’s collaboration with Sony Pictures will produce an instant classic. We expect the game to feature rich sounds from nature and advanced graphics that create a dramatic and immersive jungle experience. This is not the first movie-based game developed by Netent. They already have a number of popular slots based on films to its name, including the Planet of the Apes. At the time of writing, the Jumanji is yet to be launched, but there is already quite a bit of information available from the development company. Until the game is launched on 21st June 2018, NetEnt has released a trailer where many of the game’s unique features and gameplay can be seen. NetEnt Jumanji – How does it work? Jumanji features 5 reels, in a 3 x 4 x 5 x 4 x 3 geometrical arrangement. There are 36 fixed paylines and the bet value per spin is set at between 10p and £200 per spin. Symbols on the reels are a mix of various jungle animals from the film including lion, rhinoceros, crocodile, pelican and the playing card symbols A, K, Q and J. The lion symbol pays out the most, giving players 14x their wager. There’s also a wild symbol which can replaces all symbols except the scatter. No exact payment percentage have yet been published, so for the time being we expect it to be about 96%. Every new Netent slot pays at least 96% or more. Wild Stampede: The Wild Stampede is activated randomly. The screen begins to vibrate to alert of a rhino stampede. 4 to 9 wild symbols are added to the reels which provide plenty of chances for big payouts. Sticky Vines: The Sticky Vines Feature is also randomly triggered. Sticky Vines lock wins in place and activate re-spins. Monkey Mayhem: When this feature is activated, monkeys rearrange the symbols to potentially give winning combinations. Monsoon Wilds: Here crocodiles jump on the screen and transform one or more reels into Wild reels. Jumanji Bonus Game: This is the main bonus of the Jumanji slot machine. It is activated when 3 scatter Jumanji symbols appear on the reels. The Jumanji bonus provides great opportunities to win big payouts. Players will be able to access Jumanji from mobile and desktop on a good number of NetEnt powered online casinos. 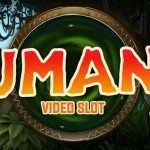 Casinos expected to offer Jumanji after launch include Casino Heroes, Dunder and Play OJO among others. The world’s most prestigious sporting tournament is almost here. On the 14th of June the football World Cup in Russia begins with the host nation going against Saudi Arabia at the Luzhniki Stadium in Moscow. There will be a full month’s football entertainment with a total of 64 matches at eleven different cities to look forward to. With the World Cup just a few weeks away, NetEnt could not find a better time to launch a new sports-inspired live casino products. On the same day as the World Cup Premiere, Swedish developer Net Entertainment will be launching innovative and exciting new games and promotions developed to provide both casino lovers and football fans additional entertainment during the World Cup 2018. The idea behind their new product lineup is that while playing at a NetEnt powered casino, you can keep up with real-time updates from the football matches. NetEnt’s World Cup related products will be available on an opt-in basis to all online casinos that support NetEnt software. After the World Cup has ended, the new technology will be applicable to other sporting events and tournaments in the future. NetEnt has announced the upcoming launch of Live Sports Roulette on the 14th of June 2018. Their new variation of the classic game will provide players with the latest football scores as the roulette wheel spins, so there’s no need to keep switching back and forth. During a game of roulette, your live dealer will comment on the matches while a live sports feed runs in the background with a summary of all game stats. Live Sports Roulette is anticipated to be a truly immersive gaming experience. NetEnt has confirmed that Live Sports Roulette will be available on both mobile device and desktop platforms. 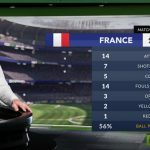 Alongside the Live Sports Roulette launch, NetEnt has also announced a generous World Cup promotion dubbed ‘Goal Smash Roulette‘. The promotion boasts a massive prize pool of €75,000 (£66,000) in cash to be awarded via prize draws and daily giveaways. For every €20 wagered on NetEnt Live Sports Roulette, players get one entry ticket for the €75,000 prize pool. Each player can earn a maximum of up to 50 tickets in one day, every day during the campaign period. Ten lucky winners will be announced at every stage to share the prize pot. Players will receive a €5 bonus for every €20 wagered on each day of the campaign. Only one bonus can be won per day. The €5 bonus will have a minimum 35x playthrough requirement and will expire 7 days after issue. It is expected that a good number of NetEnt powered casinos will adding NetEnt’s World Cup products to their platforms over the coming days. A popular casinos anticipated to offer Live Sports Roulette is Mr Green. Asgardian Stones is an exciting new slots game from NetEnt that was released in February 2018. NetEnt is one of the largest and most popular game providers available today, delivering hugely successful games to some of the biggest online casinos in the world. Net Entertainment has previously been behind popular video slots like Starburst and Gonzo’s Quest. With their new offering Asgardian Stones, NetEnt takes a step into Nordic mythology. 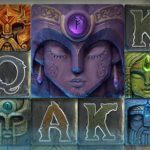 Asgardian Stones is a visually stunning online video slot machine. This can clearly be seen in its high-quality graphics and smooth gameplay. The game features wheels adorned with stone textured Nordic gods and letters representing wilds and scatters, with an eerie sea cave for the background. The slot wheels make the game very similar to other well-known slot machines from NetEnt. If you’re looking to go back in time on a fun adventure donning horned helmets and wielding axes in a world ruled by powerful gods, Asgardian Stones video slot is the perfect choice for you. Asgardian Stones – How does it work? Asgardian Stones consists of 5 reels, 3 rows and 20 fixed paylines. Among the reel symbols you will find the low value symbols Q, K and A, and five high value symbols represented by Nordic gods. The fire god Odin pays out the highest. Similar to NetEnt’s Gonzo’s Quest, Asgardian stones is played with symbols falling into place in an avalanche instead of spinning reels. Whenever the symbols make a winning combination, they explode and disappear, and new symbols drop from above to replace them. This continues until there are no more winning combinations. Asgardian Stones slot has a high RTP rate of 96.31%, making it a perfect game for both beginners and more experienced players. ‘W’ Symbol: This is the Wild symbol and is represented by a blue tile that looks it is made of ice. The Wild symbol replaces symbols on all reels except the Bonus reel. Avalanche Feature: In this new NetEnt feature you will find that symbols cascade down and fall into place instead of the traditional spinning reel. Colossal Symbols: All the symbols on Asgardian Stones may appear in an oversized form. The only exception is the Wild symbol. Colossal Symbols have the ability to crush tiles positioned directly beneath them. This ability takes effect only when a Colossal Symbol appears during an Avalanche. Colossal Crush Feature: This feature may be activated after an Avalanche. A Colossal Symbol will fall, crushing symbols beneath it. For every row crushed, a multiplier is added potentially giving the player massive wins. Bonus Wheel Feature: This feature is activated by an Avalanche or paid spin and may randomly bring down a partial or full display of a Colossal Bonus Wheel. With this feature you can win either Coins or Free Spins. Free Spins: Players can trigger Free Spins via the Bonus Wheel that may appear on reels 3 to 5. The bonus wheel gives players the chance to win either coins of up to 5x the wager or more Free Spins. You can try your luck with Asgardian Stones for free or play with real money in most online casinos powered by Net Entertainment software. Some of the popular online casinos in the UK that support Asgardian Stones include Casumo, Sloty, Casino Heroes, High Roller, Dunder and Mr Green. Live Dream Catcher is an exciting new casino game created by Evolution Gaming that gives players the chance to play live against a real dealer. Fundamentally, it is a very simple game that is largely reminiscent of roulette. If you’ve played roulette before, you should have no problems getting into Live Dream Catcher. The game features a real live dealer who you can see and communicate with in real time. Similar to regular roulette, the dealer spins the wheel and depending on where the wheel stops, you can win or lose. Despite the game’s simplicity, Live Dream Catcher can potentially generate very large payouts. This new offering from Evolution Gaming is quickly trending with online players. The game welcomes freedom of choice, which makes it suitable for all types of players while making it much more exciting to play. In addition, you can not only communicate with the dealer, you can also communicate with other players making it more social than playing a slot game. Read on to learn more about Live Dream Catcher. Live Dream Catcher – How does it work? The Dream Catcher wheel consists of 54 equally sized slices or segments. 52 are numbered and 2 are multipliers. Number 1: 23 yellow coloured segments. Payout is 1-1. Number 2: 15 blue coloured segments. Payout is 2-1. Number 5: 7 Purple coloured segments. Payout is 5-1. Number 10: 4 green coloured segments. Payout is 10-1. Number 20: 2 orange coloured segments. Payout is 20-1. Number 40: 1 red coloured segment. Payout is 40-1. Multiplier x2: 1 black coloured segment. Multiplies bet by 2 on your next spin. Multiplier x7: 1 black coloured segment. Multiplies bet by 7 on your next spin. The only rule of the game is to predict and bet on a number on the wheel. You simply bet on any number you think the wheel will stop at. To make it even better, each number appears repeatedly on the wheel. You may also have the chance to land on a multiplier which gives you an addition spin and increases your bet by 2x or 7x. In order for you to play Live Dream Catcher, you need to bet real money. At the time of writing, you cannot try this game for fun or with free spins from the casino. However, you can spectate a live room if you just want to watch and see how the game works. As we mentioned earlier in the text, Live Dream Catcher offers multipliers on the wheel, giving players a chance to win big, depending of course on how much you are willing to bet. Players can win up to 7 times their bets. As a rule, you can only win if you are able to correctly predict a number on the wheel. It is not difficult to predict a winning number in Live Dream Catcher, especially when most of the numbers appear many times on the wheel. If you are lucky enough to land on the 7x or 2x multipliers, you are guaranteed a profit on your next spin. You’ll be hard pressed to find a live casino game offering better odds of winning big. Should you play Live casino games? Many choose to play live because it is much more social than playing against a computer. It is more fun to communicate with the dealer and with other players and also provides a real-world casino feel and experience. At the same time, you have the convenience of playing from the security and comfort of your own home. If you haven’t had a chance to play live casino games in the past, Live Dream Catcher can a great way to familiarise yourself with this fun casino genre. Since Live Dream Catcher was developed by Evolution Gaming, you can find it in online casinos which support the Evolution platform. Currently the game is relatively new and not many casinos have integrated it to their catalogues. However, we expect more casinos to make it available to players in the coming months. Some of the casinos where you can play Live Dream Catcher include Casumo Casino and Dunder Casino. Click on any of the links below to play Live Dream Catcher now. Evolution Gaming is a world leader when it comes to live casino game development. They are always coming up with revolutionary new games and with Live Lightning Roulette, the Latvia based company is changing the way we play roulette. Several months after their first announcement at the ICE in February 2018, Lightning Roulette is finally here. With higher odds, visually stunning graphics and exciting new ways to win bigger jackpots, many consider this game to be a true revolution in online roulette. 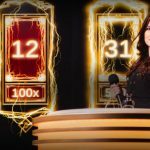 Whether you are a beginner, or an experienced player looking to try something different, Evolution’s Live Lightning Roulette will deliver. On launching Live Lightning Roulette, you will immediately notice the well-designed game lobby. The game interface features black, red and gold colours, an art deco theme and pillars on either side of the roulette wheel. Occasionally, you will see flashes of lightning and hear thunder, which you will come to associate with a chance to hit one to five lucky numbers and win big. At the bottom of the screen you’ll find the traditional roulette bets layout and a ‘racetrack’ for special bets. You will also see the new ‘lightning’ feature, which is the highlight of the game. Evolution is using Direct Game Launch technology for this casino game, which means players can launch Lightning Roulette directly from web browsers, e-mails and text, and not just from the live game lobby. In addition, an unlimited number of players can participate in a game session. Lightning Roulette is not much different from regular online roulette. You simply choose a colour and a number, and place your bet. The dealer then spins the ball in the roulette wheel and if the ball lands on your chosen combination, you win. With Lightning Roulette, the only difference is the additional chance of winning more money with Lucky Numbers and Lucky Payouts. During each round, lightning strikes one to five Lucky Numbers which can award payouts of 50x up to 500x your bet amount. A Random Number Generator (RNG) determines the amount of Lucky Numbers and Lucky Payouts. The ball has to land on a Lucky Number that you’ve placed a Straight Up bet on to win the multiplier amount. Straight up numbers (without multipliers) pay 29:1. All other regular bets such as splits, corners, red/black and dozens have the same payouts as regular roulette. Mr Green Casino (read our full review of Mr Green casino here) was one of the first online casinos to roll out Lightning Roulette to players. With this addition, Mr. Green now has all ten Evolution games in its catalogue. Every month, more and more casinos are adding Lightning Roulette to their catalogue. At the time of writing, you can also try your luck with Live Lightning Roulette at Leo Vegas, Rizk, LeoVegas and more. Click any of the links below to visit casinos where you can play Live Lightning Roulette now.